Friday night hosted the first of two qualifying sessions. 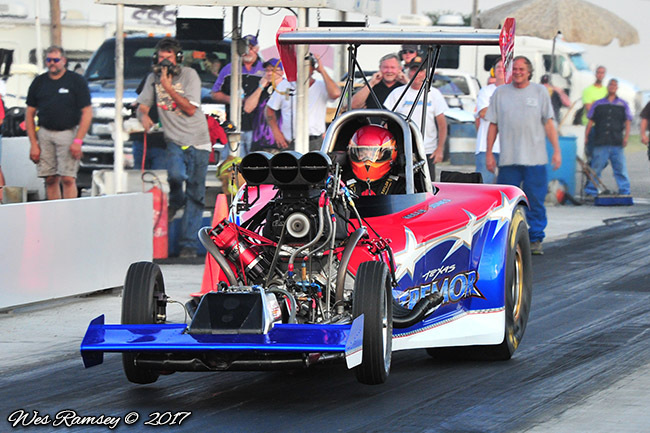 Despite some struggles, Mary Reep was able to post a strong 3.94 at 157 mph in the "Grim Reeper" from Austin and John Broussard laid down a 4.09 at 157 mph in the "Purple Haze" Louisiana based entry. Saturday afternoon welcomed sunny skies and the final qualifying session where many of the teams found their tune up. 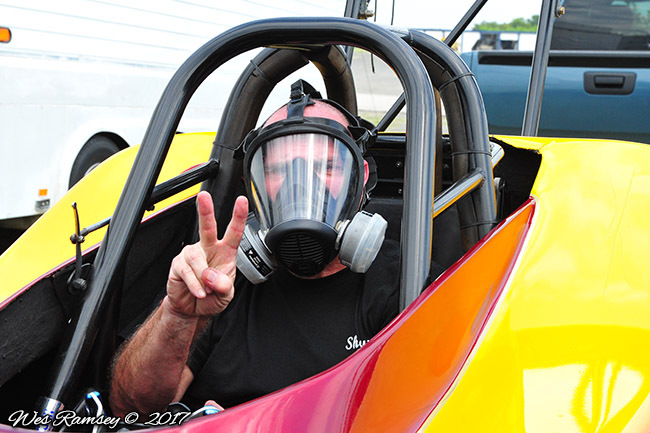 Mark Billington scored his second straight top qualifying effort in the "Magic Dragon" nitro burner owned by Raymond Austin with a 4.01 at 161 mph. Jimmy Jones' new look "Texas Tremor" slid into the number two spot with a 4.041 and Broussard improved to a 4.046 to qualify third. Mary Reep and Raymond Dawson rounded out the top five heading into first round eliminations. Clint Cross in the "Crossways" nitro entry got everyone's attention in the final qualifier when engine damage from the burnout caused a scary fire on the starting line. 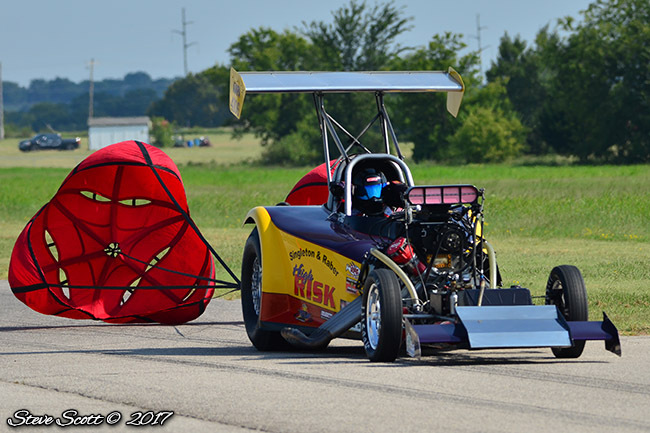 The engine had been shut-off but continued to run, burning oil and nitro that was getting through to the combustion chamber. 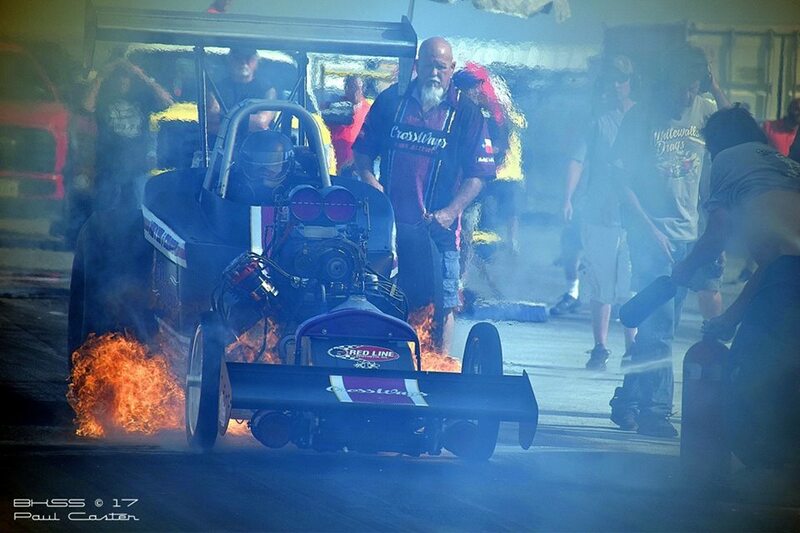 As the engine wildly ran, billowing smoke and fire, the Ardmore Dragway safety team took charge to extinguish the flames and get the engine to finally shut down as Cross and company made a safe exit off the starting line in a wild turn of events. Repairs are already in progress for the team as they hope to return to competition as soon as possible. 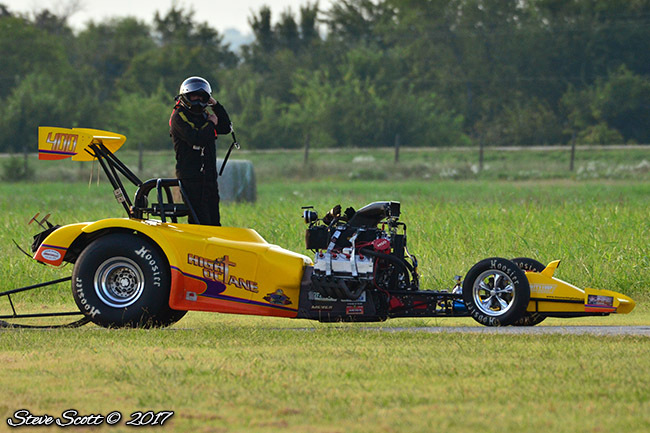 Kudos to the Ardmore Dragway staff for their quick response which resulted in zero injuries from this hair raising scene. First round kicked off with yet another bizarre turn of events as John Broussard and Nick Poloson came to the line. After a lengthy staging process, Broussard got a red light, while Poloson blasted to a 3.95 at 181 mph. After review, it was discovered one of the Christmas tree bulbs in Broussard's lane was broken during the burnout process, making his side of the tree work incorrectly, unfortunately ending their first round bid against Poloson. Fire up the next pair as top qualifier Mark Billington came to the line against defending series Champion Raymond Dawson. Billington unfortunately was forced to shut off with a major fuel leak from the barrel valve, while Dawson ripped off a 4.02 at 171 mph to take the win. 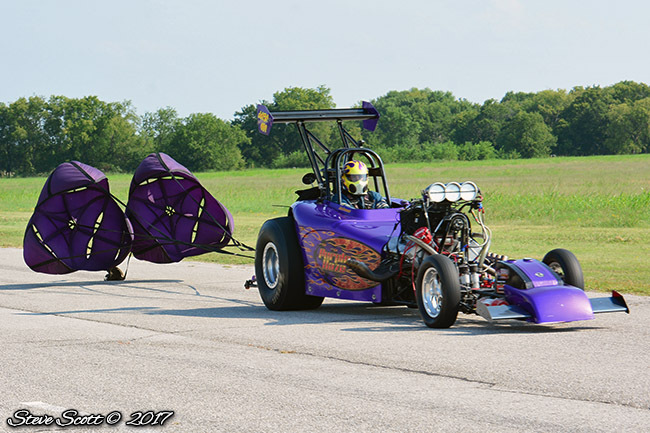 Mary Reep and Jody Austin were up next and Reep raised eyebrows with a stellar 3.91 at 181 mph to defeat the tire smoking Austin. Eliminations continued with Jimmy Jones taking the starting line, up against points leader Ken Singleton. Singleton really needed a win here, but Jones had other plans as he posted low elapsed time of the round with a 3.81 at 188 mph to defeat Singleton's respectable 4.07 at 181 mph. With an odd number of cars in first round, Mark Hunter benefitted from the competition bye run and posted a nice 4.03 at 156 mph in the "Jail Break" entry, but it was Reep and Jones who were final round bound as the two quickest first round winners.